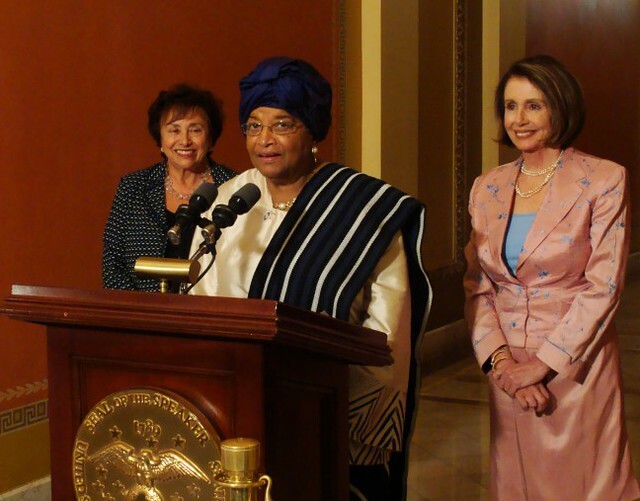 Despite decades of advocacy, why are women still so poorly represented at the peace table? In 2012, UN Women reported that women accounted for just four per cent of participants in 31 major peace processes between 1992 and 2011. Why is this number so low despite international mechanisms like United Nations Security Council Resolution 1325 and the Convention on the Elimination of All Forms of Discrimination against Women? A partial answer to this question may be found in the shortcomings of certain approaches to promoting women’s rights. In particular, the effectiveness of some strands of academic and policy literature on women, peace and security (WPS), and related advocacy campaigns that push for greater representation and participation of women at the peace table, can be questioned. WPS policymaking literature has a strong advocacy component. This advocacy approach relies on the liberal rights argument – that women simply have the right to participate – as an important starting point for getting more women to the peace table. It also tends to instrumentalize the different attributes, qualities, and deliverables that women bring to the peace table, through notions that women are inherently more peaceful and trustworthy; that their biological and social role as mothers renders them inherently more compassionate; and the list goes on. The former is understandable, as the undeniable reality is that women are underrepresented and their right to participate is enshrined in international conventions and underpinned by a normative consensus. However, the latter runs the risk of sliding into essentialism (the idea that men and women are biologically and inherently different) and stereotypes (read: women are nice, cooperative and accommodating while men are aggressive, overly-tactical and power-hungry) and tends to conflate this type of thinking with the ‘sameness’ of rights-based argumentation. In other words, some advocacy campaigns argue that women should be included in peace negotiations because they are inherently different than men, while simultaneously arguing that they should be included because they are fundamentally the same. This conflation is problematic because it obscures the need for a holistic analysis of the interactions among and between men and women at the peace table. Mediators and negotiators report ample evidence of women and men defying gender clichés and stereotypes in order to land a negotiated settlement. These are the interactions that really determine the level and quality of the participation of women at the peace table. The conflation of rights-based arguments with essentialism and stereotypes can result in the inclusion of women in negotiations simply because they are women, in order to fill quotas or satisfy other requirements – allowing donors or international mediators to tick the proverbial gender box for women’s inclusion without understanding the real value they add. While the jury is still out on whether quotas are effective ways to include women, feelings are mixed: at their best, quotas can bring women into peace talks who add great qualities and strong voices, but, at their worst, they bring in token ‘warm bodies’ that do nothing except fill a seat. How does one change this reality? A starting point could be a more holistic gender analysis of the relationships between men and women, understood as a social arrangement rather than the consequences of biological differences. War and conflict affect men and women differently because of their different social context far more than because of their different physical construct – which is why women typically bring different (though not necessarily better) perspectives to the peace table. A second step would be to change the language of advocacy campaigns to better engage with mediation process design. Although the road to changing the arguably anachronistic peace table structure is a long one, campaigns can begin by using rights-based arguments as a starting point rather than an ending point. Women not only have a right to participate in negotiations, they also make up half of the constituencies that conflict parties represent. Their unique knowledge and experience can enrich the arguments of negotiators, resulting in an agreement that is more implementable and sustainable. It can also result in more buy-in from constituencies during the implementation phase of a peace process. A third step would involve demystifying feminist theory and its relationship to peacemaking policy and practice as a whole. Too often, international actors are reluctant to be lectured on women’s rights. This attitude forgets that critical feminist theory has made significant advances in understanding how gender impacts peacemaking (often by taking a critical look at past feminist struggles). Unfortunately, the weak nexus between theory and practice means that some advocacy campaigns are simply not up to speed with the progress that has been made. Demystifying feminist theory and strengthening its practical nexus with mediation process design can reduce the ‘feminist fatigue’ that is an undeniable reality in the mediation world. This blog entry was taken from a larger Working Paper from the swisspeace Working Paper Series. Julia Palmiano is a Young Professional in the mediation program at swisspeace.